There are several advantages to choosing aluminum frames for your windows. 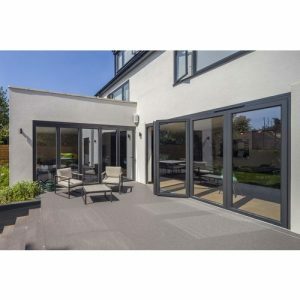 With the possibility of slim frames they allow you to see more of the world outside, allow more light inside, and provide your home with ventilation. If they are properly constructed, designed, and installed, they can decrease cooling and heating costs. Aluminum windows bring additional advantages because of their durability, superb strength to weight ratio, and their versatility. When it comes to purchasing aluminum windows, you want to have a company that you can trust. Here is a bit about what you need to know to about aluminum windows. Aluminum windows are almost completely free of maintenance requirements. They can provide the home with different styles, colours and finishes. They are the ideal choice for commercial and residential properties. Here are some additional advantages to choosing aluminum windows for your window project. They have a slim profile. So, they aren’t bulky and fit any design. The slim profile puts the concentration on the window’s glass and that adds to the beauty of the design. Aluminum windows are durable and can last a long time, no matter what weather conditions they are up against. Great for all choices, except beach houses, where the salt may corrode the frames. They offer narrow sight lines and flush finishes. Aluminum windows are low maintenance. You won’t have to worry about continuously treating them year after year. They come in diverse colours, with technology that bakes on the finish for a lasting vitality. Plus, they have mechanically connected corners, so they will hold up over time without maintenance.